With a strong focus on industry exposure, Ashok Institute of Hospitality and Tourism Management is delivering brilliant professionals to the hospitality sector. Strategically located inside 5-star Hotel Samrat, Ashok Institute of Hospitality & Tourism Management (AIH&TM) stands as an epitome of an excellent provider of hospitality education in India. Equipped with air-conditioned classrooms, exceptional faculties, the sole institute run by India Tourism Development Corporation (ITDC) enjoys an edge over similar institutes. AIH&TM, which is now known as Centre of Excellence, was initially established as an in-house training centre by ITDC in 1971. 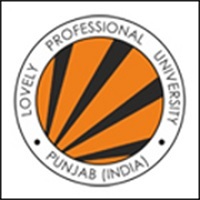 In 2003-2004, it was bestowed with the status of a full-fledged institute. The institute started its first undergraduate degree programme, Bachelor in International Hospitality Business Management, in association with Kurukshetra University. However, the course was phased out due to certain logistic issues. “Currently, the institute offers 3-year degree programme, BSc in Hospitality & Hotel Administration (H&HA). The institute also offers some diploma and certification courses,” said Ravi Srivastava, Assistant Manager, HRD and Course-coordinator at AIH&TM. In association with National Council for Hotel Management and Catering Technology (NCHMCT) and Indira Gandhi National Open University (IGNOU), AIH&TM offers a degree in BSc in H&HA. The three-year course which is divided into six semesters takes students on a journey of knowledge, experiences, trainings, and lots of learning. During the graduation period, students are given in-depth theoretical as well as practical knowledge in these areas. “The BSc programme is a melange of four major operations of the hotel - Front office, F&B Service, Housekeeping and Kitchen operations. Not only this, we are also taught about the managerial inputs in Hotel Accountancy, Food safety & Quality, Human Resource Management, Facility Planning, Financial Management, Tourism Marketing. The institute made sure that I get the best exposure in all the four core areas of hotel. After completing two years in college and my internship at a 5-star hotel, I am confident enough to face all the challenges that come along in the field of hospitality,” said Shraddha Sahani, a 3rd year student of the programme. In order to fill the gap that exists in the pool of employability, AIH&TM has introduced many diplomas and certification courses by joining hands with many organizations. The institute signed an MoU with National Institute of Open Schooling (NIOS) under the Ministry of HRD in the year 2011. 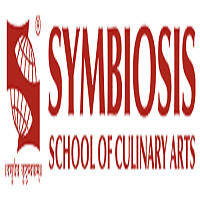 The diploma course is of one year and is offered mainly in five areas which are Cookery, Bakery, F&B Service, Housekeeping and Front office. The admissions to these courses happen twice a year. “The diploma course is practically inclined, with 30% theory and 70% practical. As it doesn’t have any upper age limit, it is open for people who are already employed in the hospitality sector and don’t have any professional qualifications,” informed Srivastava. The institute also offers a skill development course, Hunar Se Rozgar, which means ‘employment through skills’ in collaboration with the Ministry of Tourism. There is no entrance exam; admission is on a first-come-first-serve basis. The course is totally free and entirely sponsored by the Ministry of Tourism. “The primary objective of this course is to create a pool of employable youth aged between 18 years to 28 years. As part of the course curriculum, the students get two sets of uniform and stipend on clearing the evaluation test. Till date, almost 25,000 candidates have successfully completed the programme,” Srivastava added. In order to impart a Bachelor of Vocational Studies (BVoc) degree in food production and diploma programme in Hospitality Management, the institute has signed an MoU with one of the renowned universities, Jamia Millia Islamia. There will be a separate entrance test to get admission in BVoc degree course. “The course curriculum shall be defined by Jamia Millia Islamia while the classes would take place in the AIH&TM at Qutub centre. 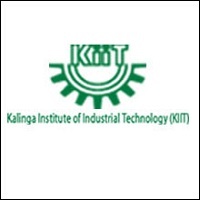 The first batch of the course is likely to start in the last week of July 2018,” Srivastava informed. 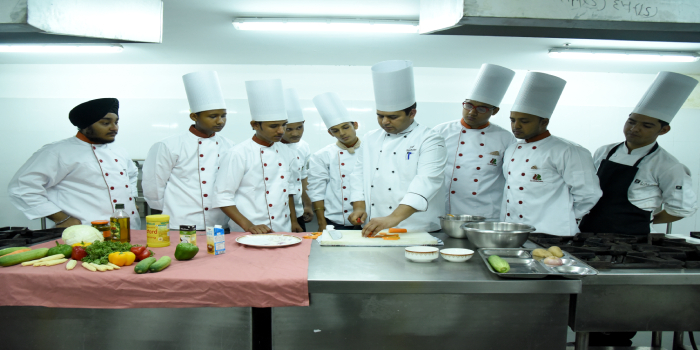 To groom the students, the institute organises compulsory four-month training. “The curriculum includes compulsory internship during 4th semester in which students have to complete 4 months’ internship in a 5-star hotel,” said Shraddha, who did her internship at The Oberoi, Gurugram. The institute’s links with ITDC is a big boon for the students. “You get to study under the guidance of GMs of hotels who are available round-the-clock,” said Anmol, a 3rd year student. Students also get a chance to cater in Rashtrapathi Bhavan and attend various important events such as ‘Bharat Parv’ organized by the Ministry of Tourism, ‘North East Calling’ organized by Ministry of Development of North Eastern Region (DoNER) and VVIP events which add a lot of value to their résumé. The institute witnessed 100% placement in its very first batch of BSc in H&HA. The campus hosted top companies from all over India. “At the end of the placements each student had two or three jobs in their hands to choose from. A diverse group of employers visited the campus ranging from the airlines to top star hotels to budget category to retail sector. I am proud to share that our students have notched positions in big companies like Oberoi, Tommy Hilfiger and many more,” Srivastava rounded off with a sense of satisfaction. Careers360 brings here expert column of Anita Bimal, who is GM HRD and Principal of Ashok Institute of Hospitality and Tourism Management. The field of hospitality is indeed a challenging one. From addressing guests with proper gestures to serving the food on the table, each step demands professionalism. These minute things are what make a hospitality student stand out from others. For a hospitality student, it is very important to get firmly grounded not only in practicals, but in academics too. I am proud to share that at AIH&TM, we have got great faculties who are General Managers from top hotels. They teach students exceptionally well keeping in mind the latest trends and that is why our students are academically very strong. The other plus thing about Ashok Institute is that we are located inside a five-star hotel which gives them a chance to learn from experts and get the on-job trainings next door. We also provide students a chance to put banquets and large caterings at Hyderabad House and Rashtrapati Bhavan, Vigyan Bhawan. So, before stepping in the industry, the students are trained fully to face all the challenges and come out in flying colours. Your Ashok Institute of Hospitality and Tourism Management, New Delhi brochure has been successfully mailed to your registered email id .